Prohibition Agent Chester Arthur Mason, accompanied by a confidential informant (CI), purchased illicit liquor from a known bootlegger, Ted Wells, in Beatrice, NE. When Agent Mason attempted to place Wells under arrest, there was a scuffle and Wells drew a gun and killed Agent Mason and also seriously wounded the CI. Wells escaped, but was later captured by agents and local officers. He was sentenced to eight years imprisonment for manslaughter. 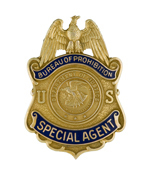 Agent Mason joined the Bureau of Prohibition on April 13, 1931, with an annual salary of $2,300. He carried badge #347. Previously, he was a school principal in Grand, ND. 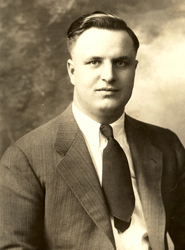 Agent Mason had served as a Lieutenant in the U.S. Army and was a graduate of the University of North Dakota. Agent Mason was born in Carpio, ND. He was survived by his wife, Gladys and their three children, Beverly, Jean and Duane.